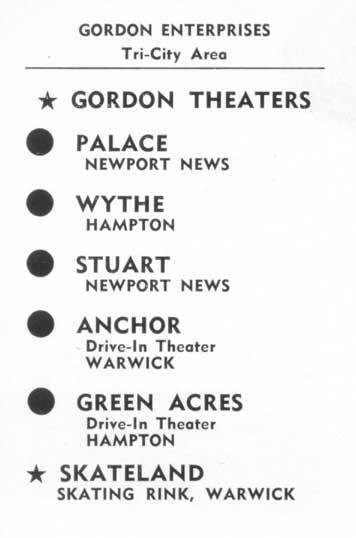 "Old Movie Theaters in Newport News and Hampton." that might be shared ... with all due modesty, of course? Thanks, Dave! What a super idea! This is now a place for you to record your special memories of times spent at these popular dating places. 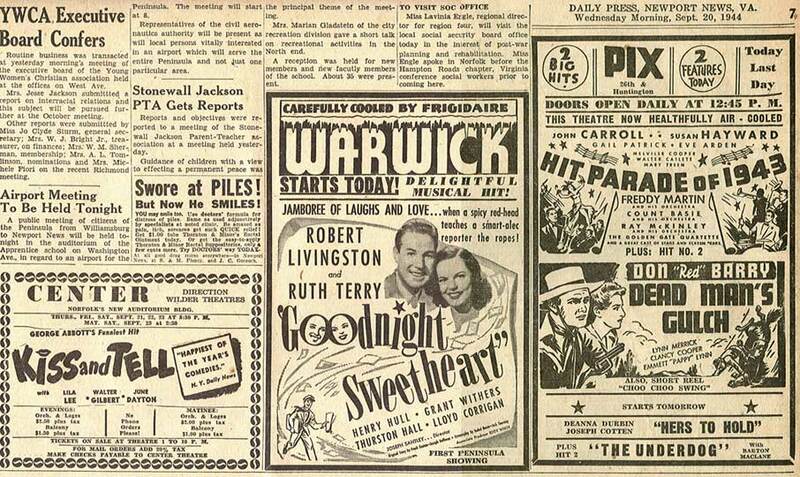 Before we begin, I have a confession: this did not happen in Newport News, but it did happen in a movie theater. I suppose it could have happened in Newport News, but, in fact, it happened in Roanoke. As you will soon see, geography is not really a factor. I was probably five years old, and my parents had taken me with them to the movies. 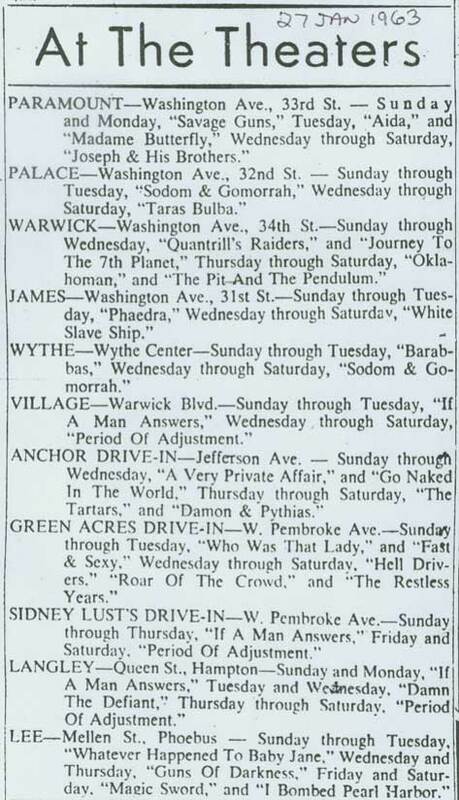 Who ever heard of a babysitter in 1951 or even had the money for one? 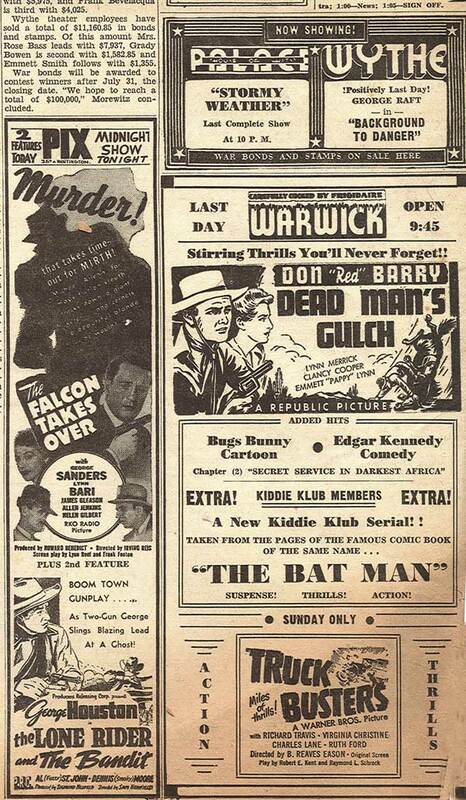 At five the movies were a special thrill, no matter what the film was. To be honest, I can’t remember what was playing, but I must have been quite taken by it, as will soon become evident. in the film at which you had arrived and watch it to the end once again. 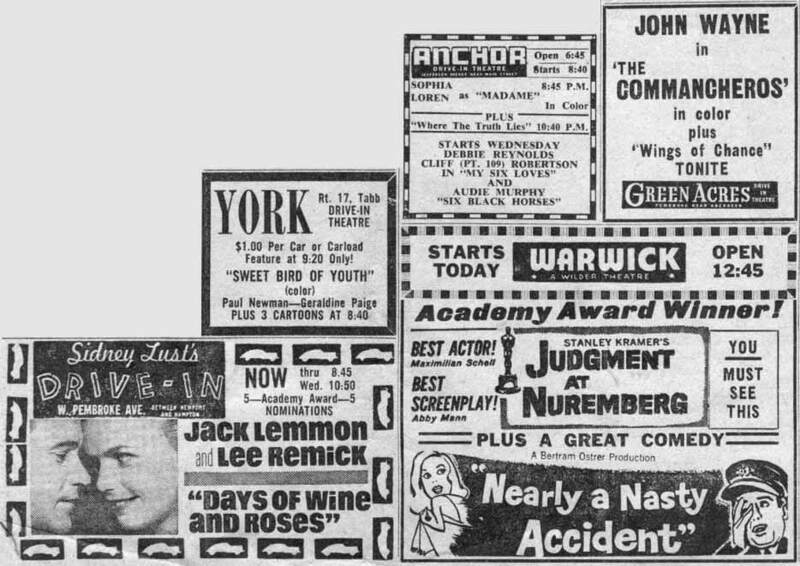 And you may recall that the time between each showing was filled by previews, “selected shorts”, a cartoon, and the “News Of The Day”, which was a prime source of visual news in the days before there was a television in every home. Of The Day, the feature would begin again … and then we could stay, couldn’t we? I tugged, pulled, whined … but nothing was working. It was time to roll out the “Big Guns”, to make a request that even my parents could not refuse. Every parent in the theater knew instantly and exactly what had happened, and erupted in laughter, which continued until we exited the movie. Even my parents were laughing at the scene of a five year old demanding to watch the “News Of The Day”. It is a story which remains etched in our Family mythology, and has been told and retold more times than I can count. Thanks again, Dave! What a great, classic story! I'm certain every parent can relate - and every "child" can remember! Thanks so much, Charles - and thank you, Fred, for sharing it with us! 07/19/06 The James 3100 Washington Avenue GONE! The Pix 26th Street and Huntington Avenue GONE! The Port At the foot of 25th Street, next to the James River beach GONE! 07/25/09 The Stuart (I) 2009 Wickham Avenue GONE! 09/13/08 The Warwick 3317-19 Washington Avenue GONE! Peninsula telephone directory that lists the name and address for each one. WOWZERS!!! Thanks so much, Mike! 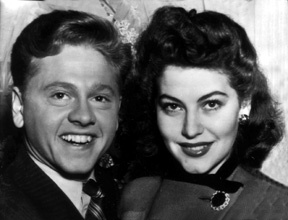 of Hollywood when we were very young. FYI, there is specific permission given at the end of this presentation, allowing reuse, but only by link. WOW! Thanks so much, Bill! 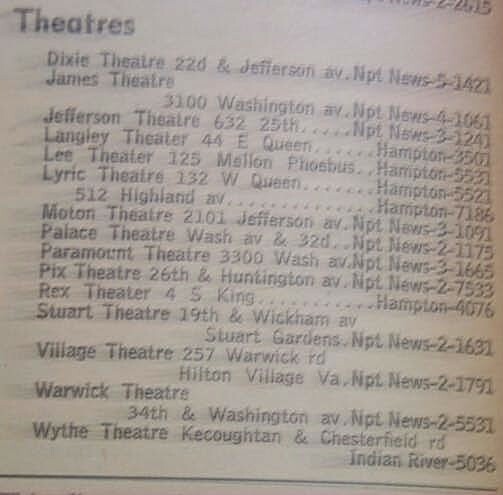 two of which show the Pix Theater. Sure enough, the location is 26th & Huntington. Thank you so much for "rescuing" that for us, Fred!